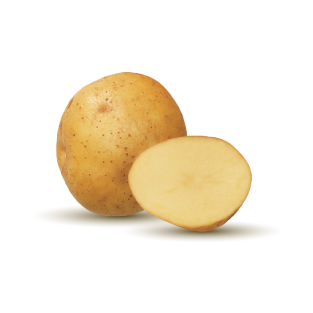 Just like some apples are best for sauce and others are great for eating raw, different potatoes work better for different purposes. 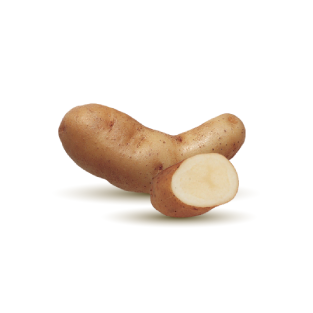 More than a hundred varieties of potatoes are sold in the US, but they fall into seven major categories for cooking. Red Potatoes have a thinner skin and a subtle, sweet flavor. Their waxy texture helps them stay firm throughout cooking, making them ideal for stews, soups and salads. They roast beautifully and are a colorful addition as a side dish. 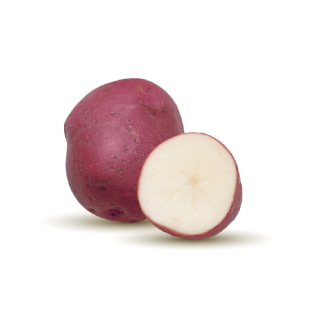 Russet Potatoes have an earthy flavor and are the perfect choice for baking and making light, fluffy mashed potatoes. They can be cut into wedges or planks for oven ‘fries’ and dipped into everything from light sour cream to spicy salsa. 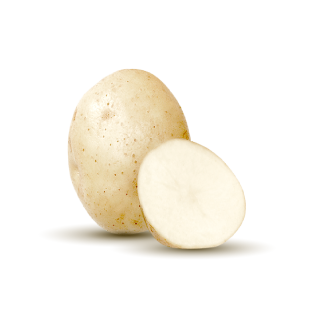 White Potatoes also have a thin skin, so they can be easily mashed without peeling. They hold their shape well after cooking; their creamy texture and mild flavor make them perfect for grilling, steaming and boiling. 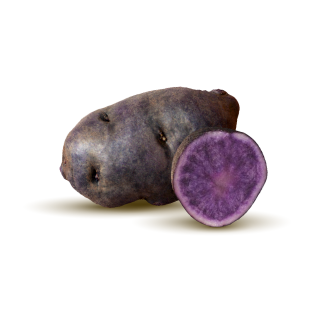 Purple/Blue Potatoes have a moist, firm flesh and nutty, earthy flavor. Their rich, vibrant color makes them a lovely addition to any salad. The best way to preserve the color is microwaving, but steaming and baking are also delicious. 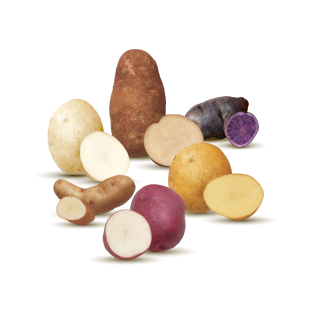 Fingerling Potatoes come in multiple colors. Their size and shape make them a visually interesting addition to almost any dish. Split fingerlings roast quickly in the oven, serve with ketchup or more exotic sauces like spicy sriracha. 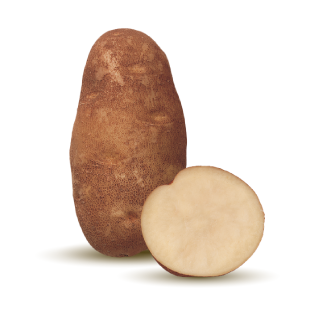 Petite Potatoes are bite-sized versions of larger potato varieties. While the skin, color and flesh can come in any of the types above, their flavor is more concentrated. Cooked and served whole, they reduce prep time, especially when roasted.